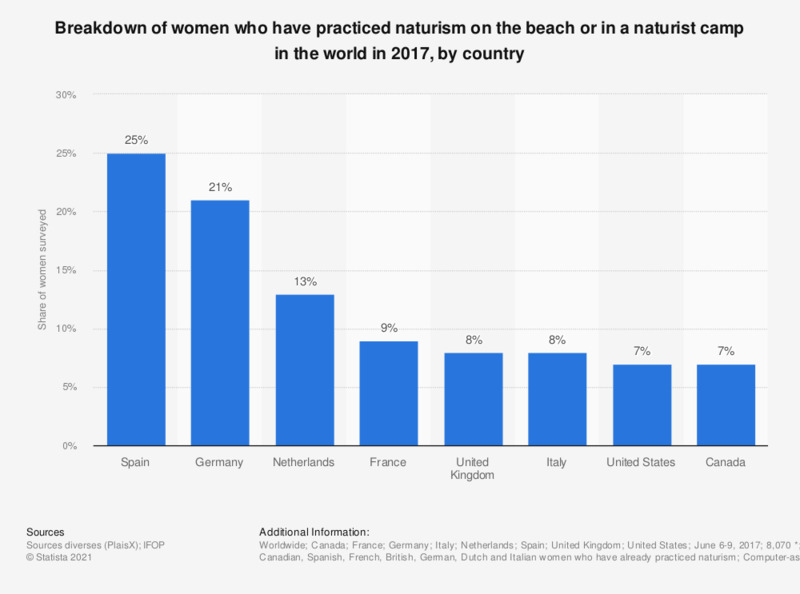 This statistic indicates the share of women having already practiced naturism on the beach or in a nudist camp worldwide in 2017, by country. Thus, we note that in France women were less than 10 percent to have already been entirely naked on the beach or in a naturist camp. The question was formulated by the source as follows: "Do you personally happen to be totally naked on a beach or in a naturist camp?" Women: Which kind of food do you prefer to be served at holiday gatherings? Would you personally consider tanning breasts naked at the beach? Do you walk naked when you are home alone?